At Medi-K First Aid Training for horse riders, we offer training that is targeted, specific and relevant to anyone involved with horses in any capacity. Medi-K offers emergency first aid and other training to horse riders workers in an effort to reduce the number of serious and fatal accidents every year. 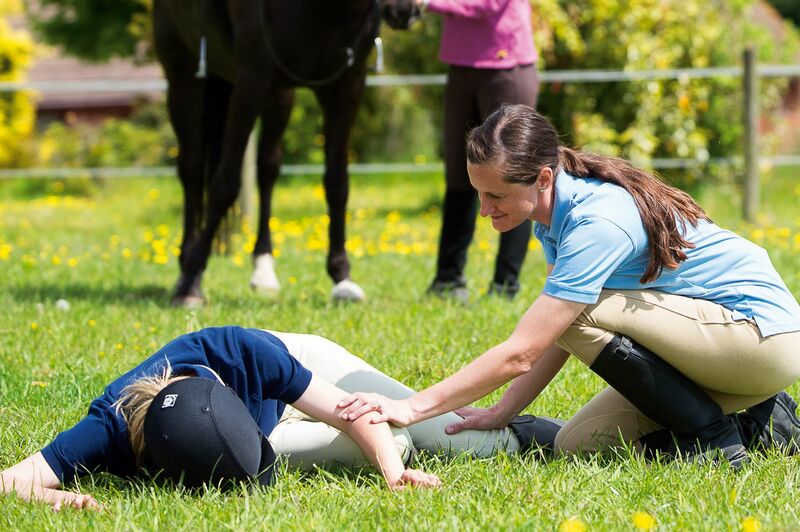 The leading training provider has tailored its popular First Aid at Work courses to the equestrian sector and added “rider specific” content, to reflect the risks riders/grooms face on a daily basis. Casualties suffering from extremes of heat and cold. The training aims to increase safeguards for workers in the equine industry – particularly where an employer’s risk assessment indicates that extra measures must be taken to manage potential severe injuries. Training is delivered on site at a riding establishment/Yard across the UK & Ireland. "The nature of their work means riders face high risk levels; sadly, that's reflected in the volume of injuries reported every year. These are people frequently riding and handling horses, often working in remote locations, so it's vital to know what to do when accidents happen – particularly as injuries can be significant and life-threatening. Our expert trainers will equip people with first aid skills to help them how to deal with a range of incidents in the countryside. This can mean the difference between a life lost and a life saved in an emergency."